Having that later 90’s BM spirit, we found “Death’s Empath” to be one of the best tracks in this release thanks to its intense guitar work and blistering tempo changes. Being the incarnation of raw and traditional Black Metal, the band delivers some of the best songs we have heard in quite a while with the piercing “Hunting Eyes” and the superbly melodic album title track “Unbound”. This level of melody infused with brutality is the signature of Shatraug’s musical evolution and one of the biggest appeals of his other bands and projects. With Abysmal joining on bass guitar, tracks like “Blessing of the Fire-Bearer” have that pulsating bass guitar line that greatly contributes to the band’s wall of sound. Our favorite track in this release is the devilish “Wake of the Compassionate”, a piece that delivers a melodic onslaught of punishing guitars that perfectly matches the aggression of the vocals. 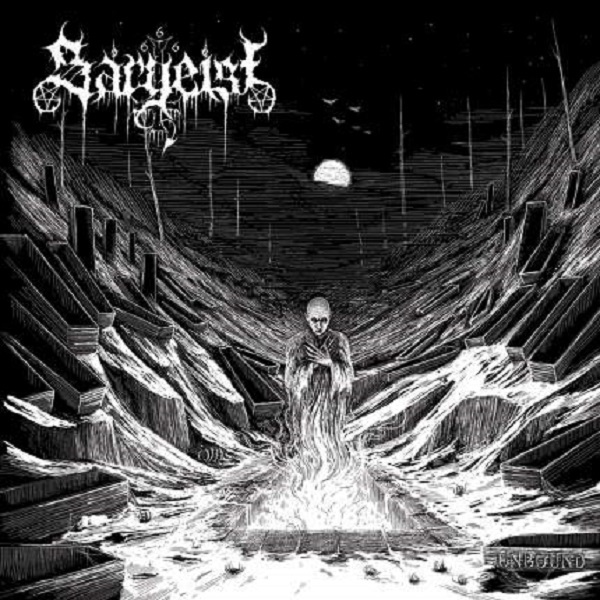 Overall, “Unbound” shows Sargeist at their best and most refined shape. The new members greatly contribute to make the band’s sound more well-rounded and devastating. If you are looking for THE Black Metal release of 2018, look no further.